The secret to great enchiladas lies in the sauce. 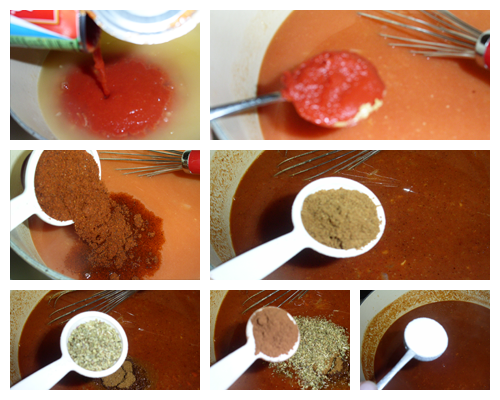 Canned or store-bought sauces usually fall short on flavor. 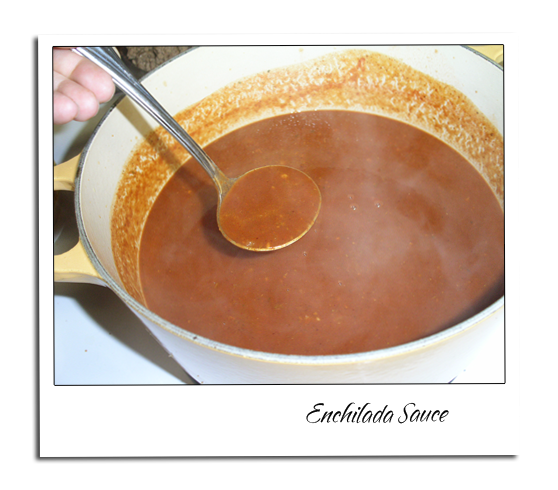 After you make this easy enchilada sauce you won’t buy the store-bought no more. This recipe is enough for 2-9×13 pans. And of course here is the recipe for enchiladas You don’t have to use it right now you can freeze the leftovers for later use, or store in a jar in the fridge. Mince the onion. 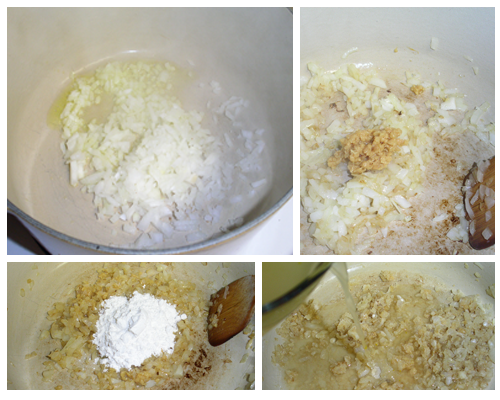 Put the olive oil in the pot and add the minced onion and chopped garlic. Brown slightly. Add the flour and cook for about a minute. Add the chicken broth stir well. Then add all the other ingredients. Simmer for about 20 minutes. This is good for 2-9×13 enchilada casserole dishes. The secret to great enchiladas lies in the sauce. Canned or store-bought sauces usually fall short on flavor. 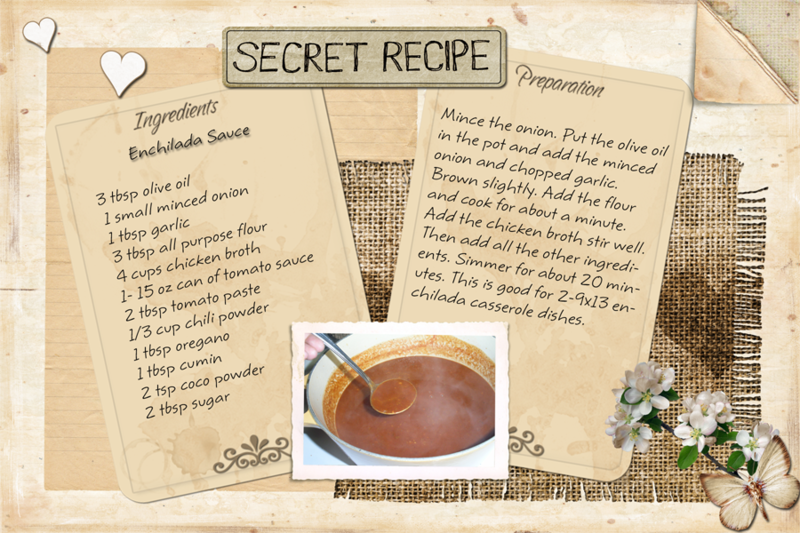 After you make this easy enchilada sauce you won't buy the store-bought no more. This recipe is enough for 2-9x13 pans. And of course here is the recipe for enchiladas You don't have to use it right now you can freeze the leftovers for later use, or store in a jar in the fridge. Then add all the other ingredients. Simmer for about 20 minutes. This is good for 2-9x13 enchilada casserole dishes.